Estate sale contracts vary from company to company, but no matter how many sales you conduct, your contract is your most important document. In fact, your entire business—and reputation—depends on it. And while your contract should always evolve, when you’re starting an estate sale company, you just need to start somewhere. 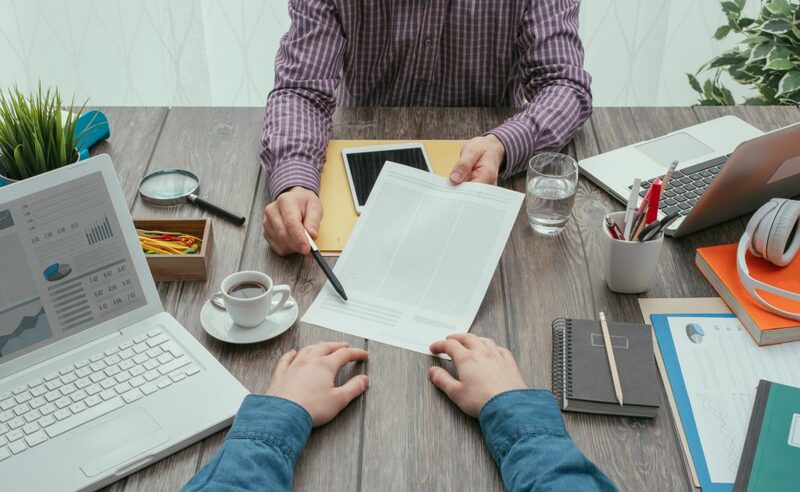 Here at EstateSales.org we recommend hiring an attorney to help create your contract, whether that means banging out a document from scratch, or cobbling together bits and pieces from other estate sale contracts. It all depends on how much you want to spend. Either way, never underestimate the value of having a professional on your side. 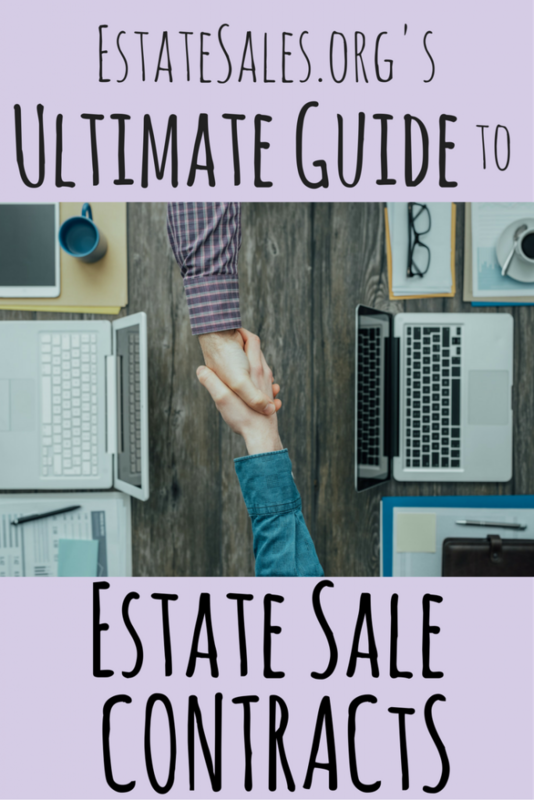 We created this guide to help you get started, including types of estate sale contracts, what to cover, best practices, regional differences, and even some sample contracts to look over. 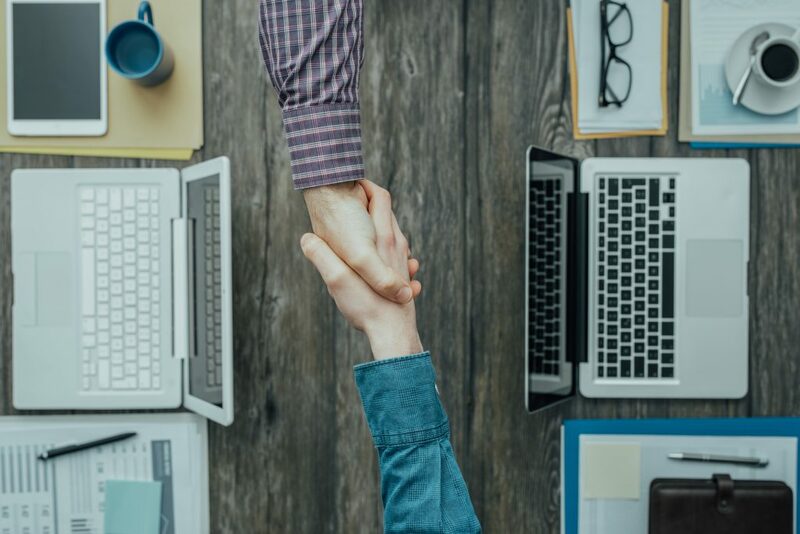 Please note: The information in this blog post and the sample contracts serve as general advice and NOT official legal advice. We recommend consulting an attorney for your own contract. Estate sales can get complicated because there are myriad ways to get rid of used items, even hard-to-sell items. But no matter how you conduct business, your contract should be clear. There are generally four main types of estate sale contracts – and many variations thereof. Our guide mainly deals with on-site estate sale contracts. On-site. This contract covers your traditional estate sale that usually takes place in the client’s home. Items are sold, and then the remainders are most likely disposed of or donated to charity. Consignment. This type of estate sale contract specifies and details how the estate sale company will sell the items on consignment, whether in a warehouse, showroom, or other type of setting. Clean-out. This is when an estate sale company is paid to clean out the entire contents of an estate with the understanding that items will be sold in an onsite estate sale, on consignment, or tossed. Another option is a “straight clean-out” where, for for a flat fee, the estate sale company cleans out the estate and does what they wish with the contents. Buy-out. Everything in the estate is bought at one flat rate. 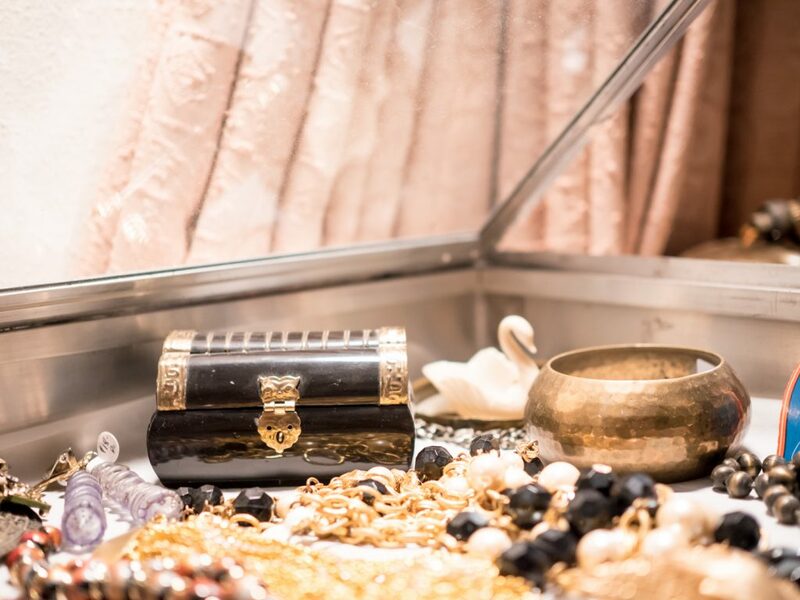 While the actual estate sale is the star of the show, there’s a lot leading up to the sale. Your contract will need to cover how much you charge, estate sale pricing and appraisals, advertising and marketing, setting up, and more. Think of this as a task list, so all parties know who’s responsible for what before the sale. This is probably the most important part of your estate sale contract. How much you charge can make or break the deal. Since pricing varies based on region, do your due diligence to see how other estate sale companies in your area operate. Don’t be afraid to ask questions. 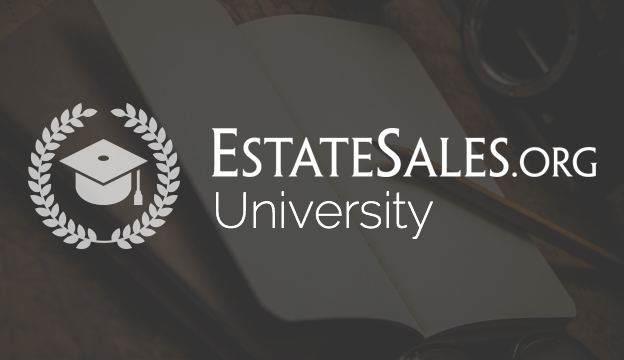 The Facebook Group, The Estate Sale Company Network, is an excellent online resource exclusively for estate sale professionals. Professional liquidators should be bonded and insured to cover any possible estate sale dangers and liabilities. However, it’s also important that your client have current homeowner’s insurance as well. Accidents happen, especially in strange homes, and in the event a shopper gets injured—or worse—during your sale, you want to make sure all parties are covered. This goes for damage to the premises and/or damage or loss to any items at the estate. This will vary according to region, but you’ll want to go over any policies regarding inclement weather. If the roads are too icy or a hurricane hits, your sales will suffer. 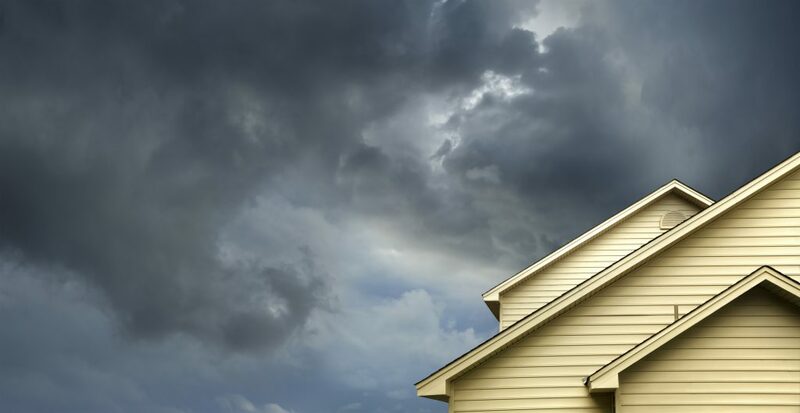 Spell out the back-up plan in your contract, especially if you live in an area prone to bad weather. Some estate sale companies don’t allow the client (or the client’s relatives) to live in the estate leading up to and during the sale. Other companies have more lenient policies. Wherever you lie, be clear about it in your contract. Heads up: It can be awkward if your client is trying to grab a cup of coffee—while you’re trying to price and tag the mug. Before the estate sale, you and your estate sale employees will need access to your client’s home or estate. How will this be handled? Some clients prefer you use a certain entrance, some may provide a key or gate/alarm code. Be clear about the conditions of access, so there are no awkward misunderstandings. • Will there be a minimum price for selling individual items? • What constitutes a “lot” and how will they be handled? There are two kinds of estate sale companies: those who have had an item suddenly go up “missing” after inventory— and those who haven’t yet. The truth is, clients are attached to their items, and relatives have a way of showing up and reclaiming things they suddenly remember they want, like vintage jadeite dishes or antique furniture. Account for this in your contract and provide a deadline, after which all items must be out of the house or paid for. Since this is a particularly common dispute, you’ll need to be specific about what happens if items are missing after your deadline. The more difficult estate sale clients have to be told more than twice to stay out of their own homes. This goes for setting up your estate sale, too. Since this can be an emotional time for your client, it’s usually better if they are hands-off while you’re transforming their former living space into a retail-ready showroom. Make sure your estate sale contract is specific about how the estate sale will operate. This includes designating tasks, whether that means the client will help out or stay away. Be clear ahead of time about extra expenses for staff or security, so no one gets a rude surprise. How many estate sale employees you have may change, depending on the size and frequency of your sales. If you don’t normally operate with full-time help, but need to hire staff for larger sales, it might make sense to pass these charges along to your client. If so, be sure to highlight the conditions in your contract. 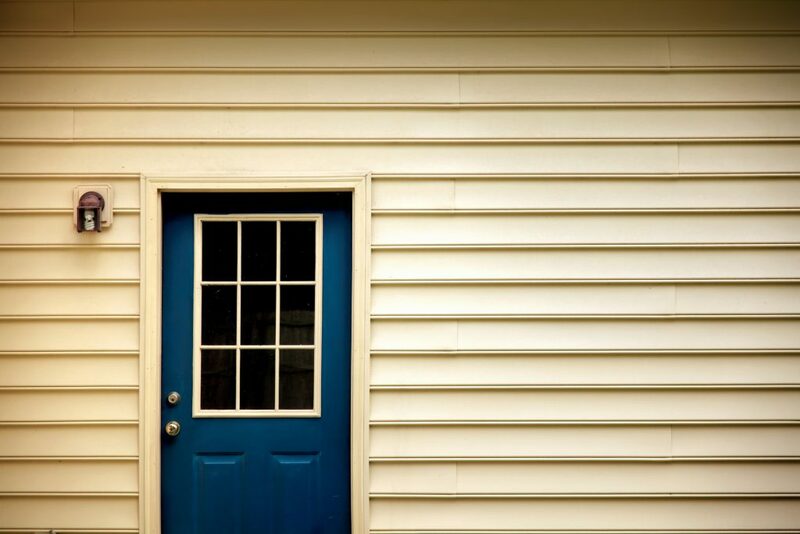 Security is an important aspect of your estate sale. Handling security could mean having employees on-hand to watch for shop-lifters or even hired cops, depending on the size of the sale. Include in your contract whether you or your client will be responsible for this expense. Another debate between estate sale companies is whether to allow clients and/or their relatives on site during the estate sale. Whatever you decide, make this clear in your contract. This will come in handy when you’re dealing with difficult clients. While it’s true most shoppers use credit cards these days, some shoppers will still want to pay with cash. You’ll need a minimal cash bank to provide change. Will you or your client provide this? Some estate sale companies include this detail in their estate sale contracts, so there is no confusion later. While the rules vary from state to state, some estate sale companies pass on the fees associated with credit card transactions, so it’s not taken out of their profits. In some locales this is illegal. Likewise, some credit card companies allows “chargebacks” or refunds in the event a card-holder is unhappy with a purchase. Unfortunately, the ephemeral nature of estate sales means liquidators are chargeback targets, as credit card companies are likely to side with their clients. What happens after the estate sale closes is just as important as prep and day-of procedures. Outline how post-sale tasks will be handled to ensure a smooth ride, from start to finish. Who wraps and mails items? Who pays shipping and delivery fees? The more you have spelled out in your estate sale contract, the less time wasted later making decisions. You’d be surprised how things can fall apart because people are confused about where the leftover or hard-to sell items should go. 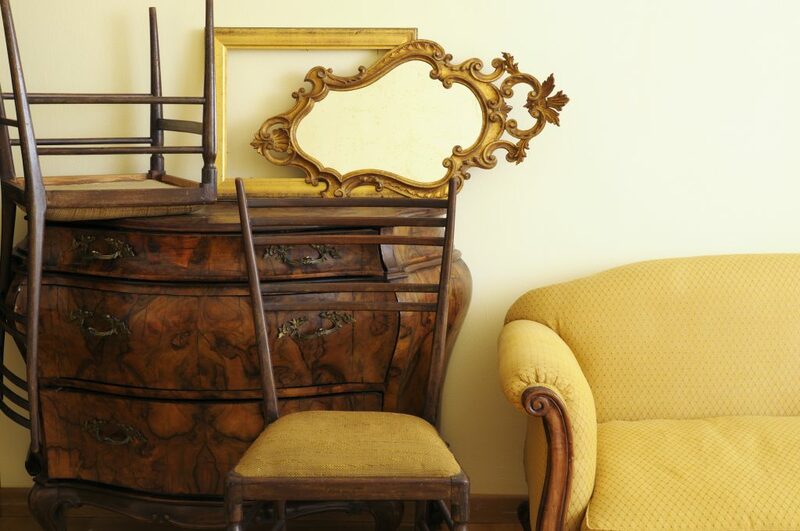 Some estate sale companies handle leftover items on consignment, which can often mean a more complicated contract. Other clients prefer to trash leftover items or donate them to charity. Whatever you decide, your contract is the place to iron out these details. It’s best to decide on a charity during the initial consult, so this detail isn’t overlooked later. If you know a charity that’s easy to work with (ie. on time), volunteer their services. Pro-tip: Arrange for your client to meet for pickup. Otherwise outline in your contract what you charge for your time if you have to be the one who waits. When and how will sale proceeds be paid out? Another smart detail to include is how the itemized inventory of items sold will be presented to the client post-sale. Here at EstateSales.org we recommend to always document, document, document and there are many tech tools to help. Keeping a detailed itemized list of all items and sold prices facilitates better record-keeping. Some point-of sale systems automate this to certain degrees and this can expedite the process. Whether you track in a spreadsheet or use specialized software, be clear in your contract what level of documentation your client can expect. As your estate sale company holds more sales, you’ll figure out more of these clauses to include in your contract. We talked to a few estate sale companies to find out what they include based on past experience. This is a fancy way of saying: CYA. Not only should your estate sale company be insured and bonded, your client should also be insured with proper homeowner insurance that covers damage, liability and theft. Remember, you can give a ballpark figure of how much you think an estate sale will bring—but make sure you spell out in your contract that this is just an estimate and not a guarantee. Be sure to account for possible disputes that may come up. Since you dictate the contract, you get to dictate these terms, too. 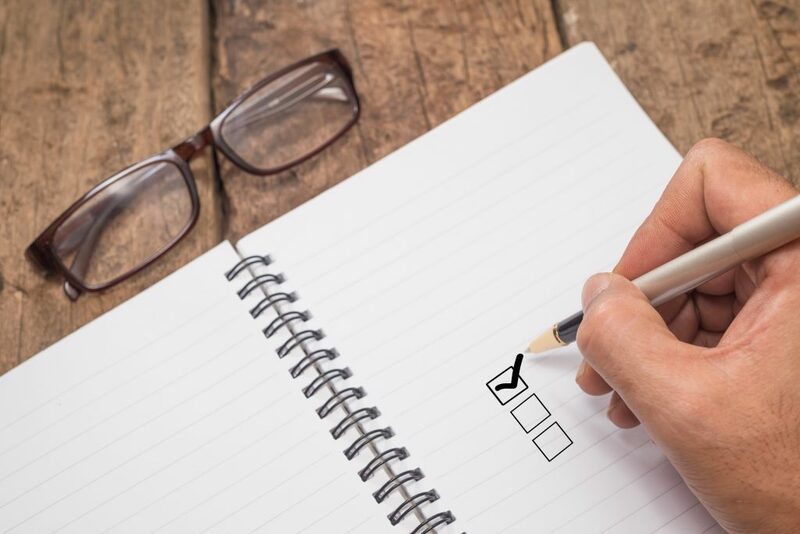 Another tip Kroese recommends: If you cover different service areas, specify conflicts must be settled in your own town, so you’re not inconvenienced and forced to travel. Part of your job as an estate sale company is to make the most money possible for your client. It goes without saying, sometimes the hidden treasures you find at an estate can be quite valuable. (This is is what you hope for). In fact, sometimes the estate owner had no idea the treasure was valuable—or even existed! Unfortunately, when this happens, a client will often try to keep the item “in the family.” But part of why they’re paying you is for your expertise at uncovering—and then appraising—unknown or hidden treasures. However, explaining that to a client with heightened emotions can be tricky. Estate sale contracts should cover this, so everything’s clear from the beginning. Credit card fees can put a dent in your profits. Some estate sale companies pass this expense to the client instead. If a client then wants to use cash only, explain how many shoppers use debit and credit cards these days, and taking cash only can cut down on sales. Plus, to keep up with other estate sale companies, accepting electronic payment is a no-brainer. You might also explain the concept of “chargebacks.” Cathy Talley of Estate Sales of Virginia includes a provision about this in her contract that says the client is responsible for paying in the case of a chargeback. Chargebacks are essentially refunds—which means you lose the money. This clause goes both ways. You may have a few make-it-or-break-it stipulations, or your client may want to back out for whatever reason. Instead of having the whole thing go up in smoke, work a termination agreement into your contract that ensures you’re compensated for the time and expense you already invested. That way, it’s not a total loss. Not all estate sales operate the same way from city to city, let alone state to state. Things will operate differently in San Francisco versus Oklahoma City, or New Jersey versus Michigan. There are definite regional differences you’ll want to consider in your contract. In other words, don’t think you can just grab any old contract from anywhere and use it for your means. Nuances matter. If you live in Florida during the summer, which can be subject to hurricanes, or upstate New York in the winter, you’ll want to remember this when writing your estate sale contract. Neither you nor your client wants to risk time or money due to Mother Nature, so make sure you have a back-up plan. How much you charge is usually a combination of years of experience, services offered, and regional norms. In some areas, a 30% commission rate might be standard while in others, it might be too high or too low. Research estate sales in your area to find a fair price to charge. While dealing in cash only might be a preference, in some areas, it’s a mandate. According to National Estate Sale Association board member Martin Codina of Fine Estate Sales, it’s customary to pay all proceeds in cash in Long Island on Sundays—and that’s just one example of regional differences. 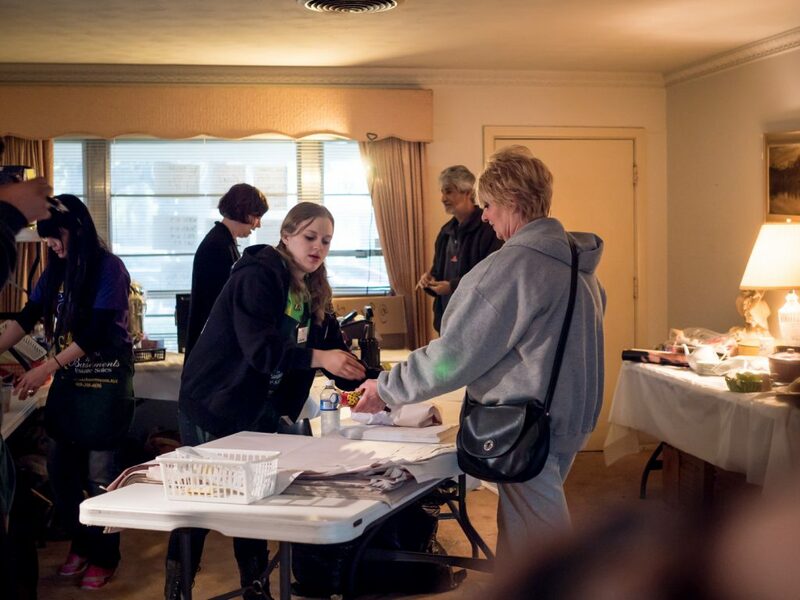 Find out the quirks in your area by talking to other estate sale professionals. Some rules vary due to state law, so be familiar with local regulations. 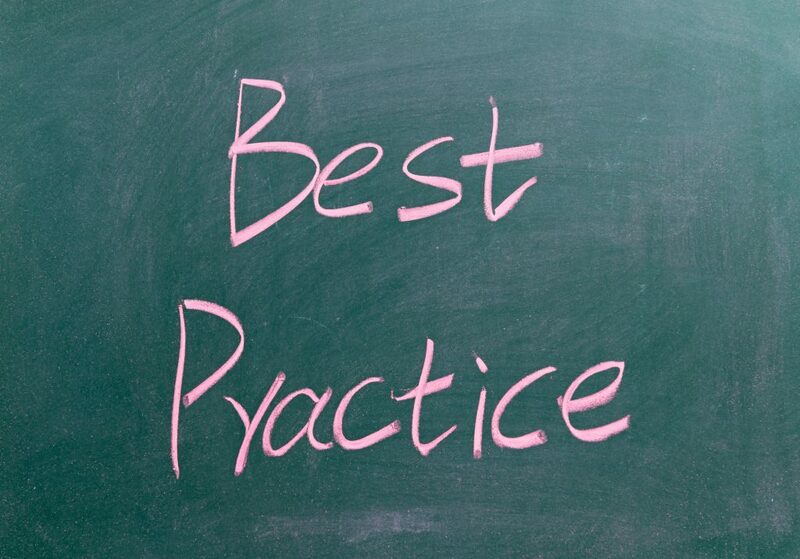 For example, how state tax is handled, as well as passing along credit card fees to your client, may vary. Selling taxidermy has various state laws, as well, if that applies to your estate sale. This is why hiring an attorney is in your best interest, since laws get tricky and are subject to change. 1. Bring estate sale contracts to the initial consult. It’s a rookie mistake to go into a consult without your contract in hand— and a missed opportunity to close the deal. Some estate sale companies take it a step further and send the contract ahead of time for parties to look over. 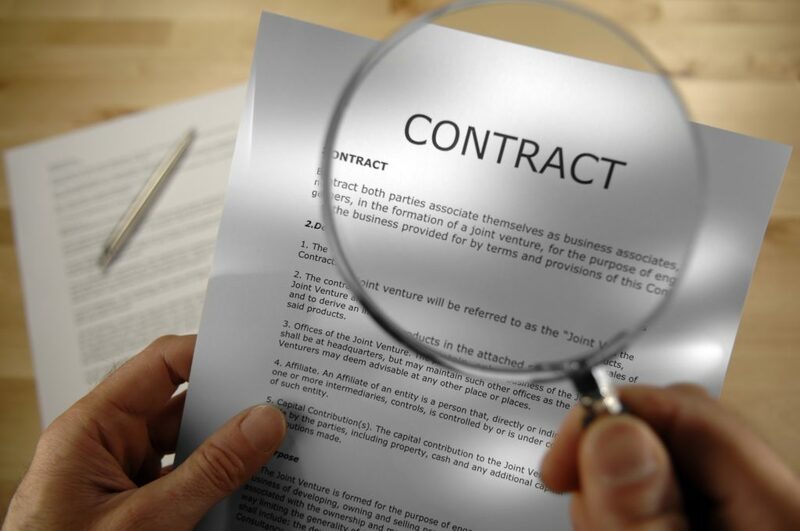 This gives clients a chance to compare contracts. “I want them to be prepared and ask every question they could possibly ask – or share the contract with the siblings who aren’t in the same state who are going to have concerns. Then when I show up, they have an idea of some of the things we cover,” said Nancy Greger of House Recycled, LLC. 2. Use your contract as a selling tool. Some companies go all out and may use a graphic designer to trick out their contracts. Whether this means a bit of DIY Photoshop skills, hiring a college student to help, or hiring professional creatives, go beyond black and white is a nice touch. “Our contract is different. 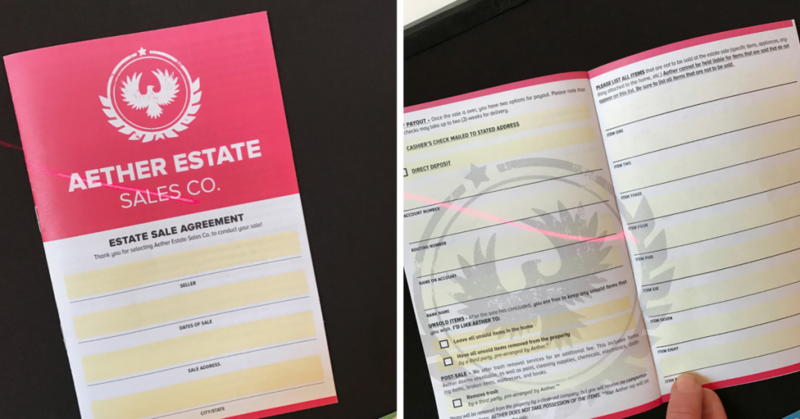 It’s actually a cool little booklet – it’s 81/2 by 11 folded in half, full color, very visual, easy to read, and clear so the client knows exactly what they’re signing. We have a full time creative director who designed it,” said Lee Parsons of Aether Estate Sales. No one wants to wade through pages of legalese, least of all a client you’re trying to woo. Keep it clear and simple is the best rule of thumb and makes it easier on your client who most likely won’t have a lawyer. 4. Go over the contract with your client. Even if your contract is simple, take the time to explain each line item, offering your client the opportunity to ask questions. “A lot of times they have other things on their minds, their parents’ wakes, for examples, so a lot of times they’re agreeing to things but not really focused on it, so if you sit them down, and go over it, then later on if something comes up, you can say, Remember when we were at your kitchen table and I explained to you…” said Kroese. It’s true: people don’t often read estate sale contracts before signing. “It’s like when they sign the terms and conditions for the next app and they just sign to get to the app, like, Give me my iTunes! People do that with contracts,” said Codina. Combat this human desire to race to the end by requiring your client’s initials on each line, instead of just at the end of the document or on each page. This helps them slow down and think about what they’re signing (hopefully). 6. Streamline your contract to customize it on the fly. While some parts of your contract might never change, logistical concerns often vary from sale to sale. Instead of reinventing the wheel, have a “permanent contract” and a customizable section. This could be the same document or two. Lee Parsons of Aether Estate Sales Co. goes the extra mile to present a visually interesting estate sale contract that also serves as a selling tool. He also uses Docusign, so clients can sign remotely. Estate sale contracts are living documents. Revisit yours from time to time to evaluate how it’s been working for your business so far, and how you might modify it. This could mean involving a professional or not, depending on your budget. “I do an annual review with my attorney so that we can review it depending on things that happened. Because of human nature, even if it’s in your contract, things still come up,” said Kroese. Beyond honoring your contract or making money, your reputation goes a long way. Are you kind and easy to work with? Do you genuinely have the client’s best interest in mind? Martin Codina points out that he provides a service – thus, his contract is designed to protect his client. Taking into account ethical concerns, and looking out for clients who often are vulnerable, goes a long way in securing a good reputation. 10. Testimonials: Get it in writing. Positive testimonials help secure more contracts in the future. The best way to build your company is by word-of-mouth. Assuming your estate sale went well and your contract was honored, solicit a review in writing from your client. Yelp, Linked In, Google Businesses and Facebook host reviews and can be found on the Web by potential clients. Never feel shy about marketing yourself when you’ve done a great job on an estate sale! This is how businesses grow. Want to take a look at some actual estate sale contracts? Simply enter your email address below to receive an email with a downloadable link. *DISCLAIMER: The information in this blog post and the sample contracts are meant for general help about estate sale contracts and NOT official legal advice. At EstateSales.org, we recommend hiring an attorney to write your contract and/or for legal advice. Got any tips of your own regarding estate sale contracts? Share them below!